"Beware Of All Enterprises. . ."
Often you only hear the first part of this sentence from "Walden." Kurt Vonnegut had it painted on the top of the coffee table he sat at to write his stories. If you take just the first half of the sentence out of context, it interprets as a kind of paranoid statement against allowing yourself to experience new things or change, you can also take it as an affirming "stay true to yourself," thing. Instead, if you read the statement as a whole, and the supporting text. It really means you should change yourself first, and the clothing, or accoutrements needed should follow. Decide what you're going to be, find out if it fits instead of jumping in feet first and wasting money on things you don't need, they when you have a basic idea, go ahead and purchase the new clothes you're going to require. Now we've moved from paranoia to the sage-like advice of experience. The kind I'd give to anyone who was interested in taking up the yoke of transforming wood into usable stuff, works of art, or a combination of both and more. I've had Thoreau's words on my mind lately as I've moved about town buying, literally, new clothes for a new venture. I feel blessed to be part of a small group of people who've been asked by Don Williams to help with the exhibit of the H.O. Studley Tool Cabinet and Workbench. One of the most solemn duties I've been assigned is to take a shift as a docent on each of the three days. This means I will be there to assist the viewers, make sure everyone is behaving, and, the coolest thing, provide answers to questions and context to the collection. It also meant I had to buy some new clothes to fit into the docent dress code. In order to help me study so I have the answers to questions, I've been allowed to view a editorial proof of the final product! No, I cannot tell you anything you haven't heard from the official sources of Don Williams and Lost Art Press. You can ask, you can offer, you can bribe, but why would I do such a thing and jeopardize my inclusion in this historical event. 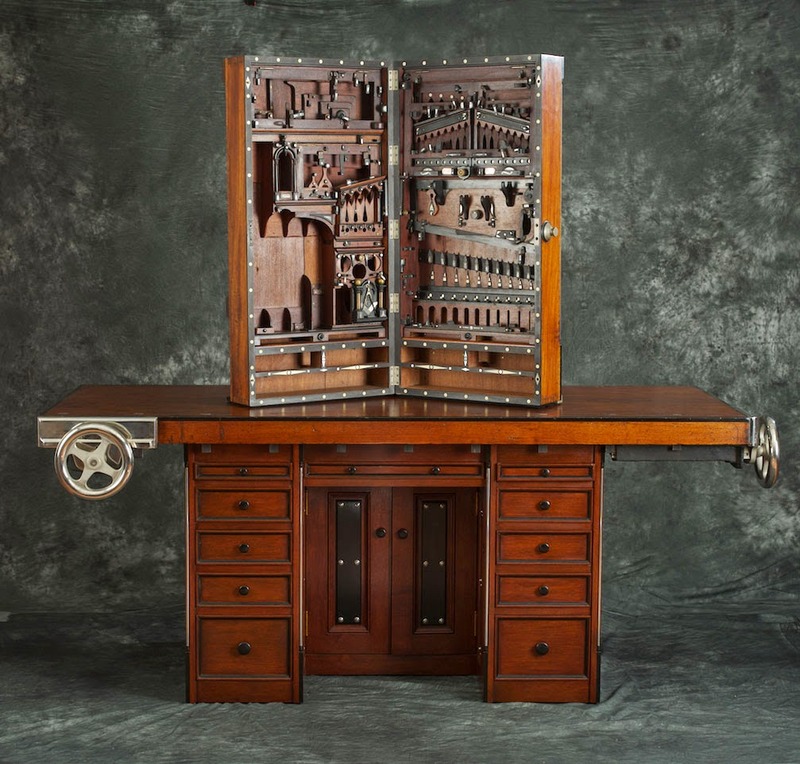 I can tell you one thing, The combination of Don's words, research and interpretation and Narayan's photography all result in a powerfully informative record of this incredible and historical tool cabinet that stretches into the realm of a powerfully folkloric work of art. Off the top of my head I can think of only a handful of complete and historic tool collections connected to a single maker. The Benjamin Seaton toolchest, The Duncan Phyfe toolchest, The Dominy family tools, benches, and workshop. and The Studley tool cabinet and workbench. Of those I would bravely assert the Studley cabinet is the only one to consistently surpass the consciousness of the relatively small community of woodworkers and enter into the mass awareness of the public at broad. 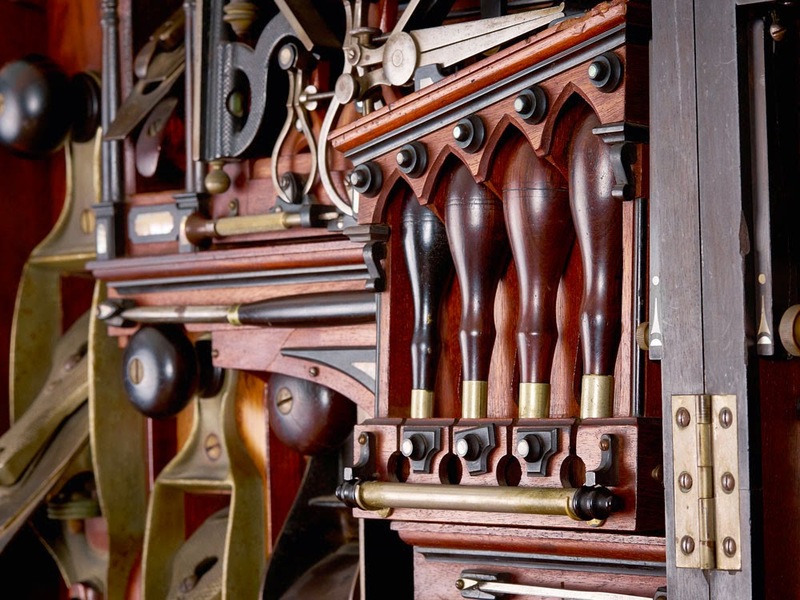 Not always as a tool cabinet or collection of woodworking tools, but as an object of complex beauty, obsessive attention to detail, a novelty of desire or a combination of all and more. The Studley collection is owned by a single, private collector. It is not part of any museum collection or regular exhibition The cabinet and workbench have never been displayed together in public ever before and it's highly possible they will not resurface again for a long time, if ever. 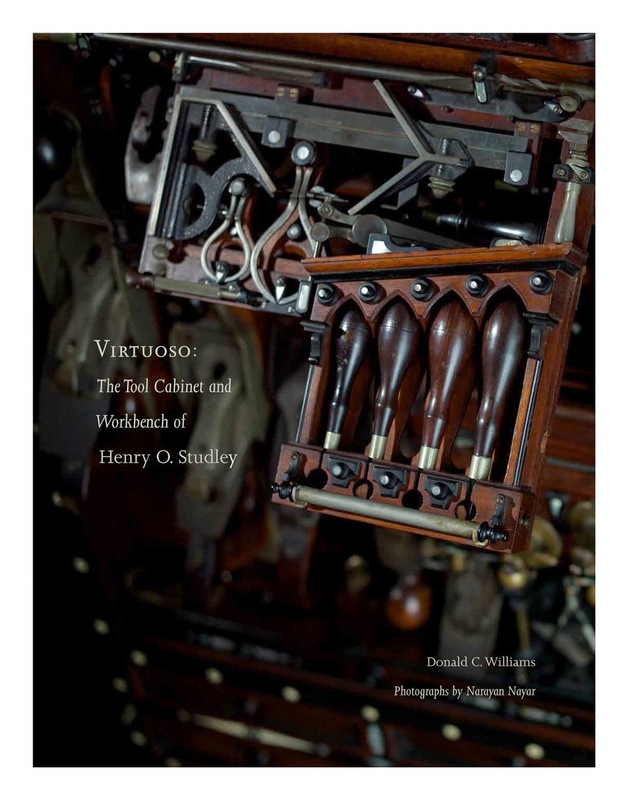 The good news: The collection is well and thoroughly documented in "Virtuoso: The Tool Cabinet and Workbench of Henry O Studley"
The better news: You can still get tickets and make the pilgrimage to see the collection. The groups will be kept small and you will get nearly an hour to commune with the pieces. During each group time Don will open up all the hinged places and show all the hidden recesses the poster on your shop wall only hinted at. You'll get to see the cabinet and workbench up close (Sorry, you still won't be allowed touching privileges, those are reserved for Don's expert hands alone.) 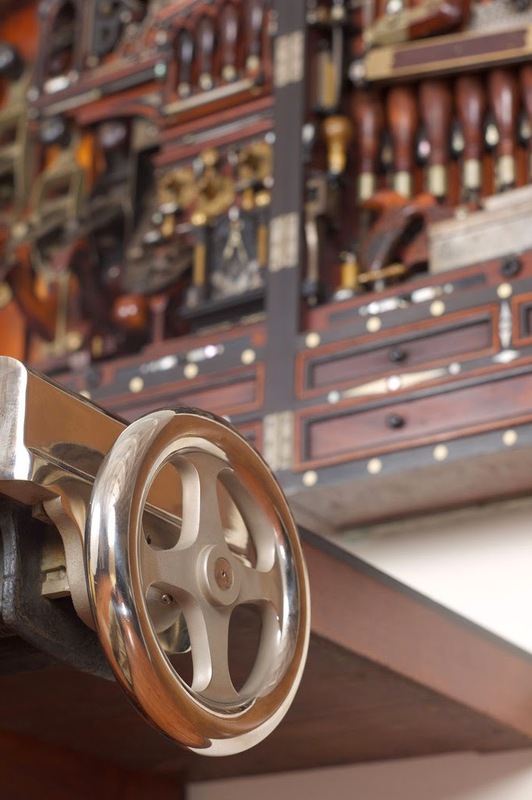 However, Don has constructed a replica of Studley's workbench and on that platform he will hang a number of vintage vices equal to those hanging from the master's bench. Those you will have free reign to open, close, and inspect to your curiosity's delight. I am very humbled to be a part of this event and hope everyone can and will take the time and visit. I cannot imagine anyone finding themselves disappointed to spend a little time around an object as mythical in proportion as this. Honestly, do yourself a favor. Just buy a ticket and go! I really do hope to see you there.